The decision to invest in any currency, including the Euro, lies solely with the investor. However, we'd like to provide you with some pros and cons of investing in the Euro. Additionally, we'll share some resources we've found useful in investigating the foreign money market, including Euro specific information. 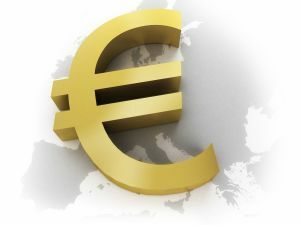 -Iran's interest in using the Euro for oil trade as a replacement of the US Dollar is a great boon to the Euro's value. -The Euro continues to outperform the US Dollar in the market, and there seems little likelihood of that trend reversing in the near future. -Since Europe is spread out over many countries, the Euro is less likely to be harmed by terrorism than the US Dollar, since the United States is a singular target. -With the admission of new members to the EU, (specifically Eastern block countries), they have to absorb the joining members' currency, which might destabilize the Euro at least briefly. -In this weak economy, it is difficult to predict the behavior of various currencies in such a guarded and volatile market. -Although it is difficult to say for sure, the recent slight decrease in the Euro's power from it's all-time high of 1.59 could portend further weakening as compared to the USD.